Utair finished 2018 as Russia’s fifth largest passenger carrier, but has been unable to retain its position in the top-five ranking this year. In February it carried 484,800 passengers, a spokesperson for the airline has revealed to Russian Aviation Insider. Nevertheless, Utair is focused on boosting its efficiency and consequently its seat load factor added four percentage points (pps) in February, reaching 80.7 per cent, following on from a 1.1 pp improvement in January. Overall, the target is to increase traffic by 14 per cent by the end of the year, the airline says. Previously, Pavel Permyakov, president of Utair-Passenger Airlines, emphasised that, despite financial difficulties, the airline has not deviated from its fleet expansion plans and still intends to add four more aircraft this year, with the deliveries of two Boeing 737MAX aircraft and a B737-800 scheduled for March and April, and another B737MAX expected to arrive in September. However, the on-going global grounding of the B737MAX fleet, following the crash in Ethiopia, is certain to affect the deliveries. 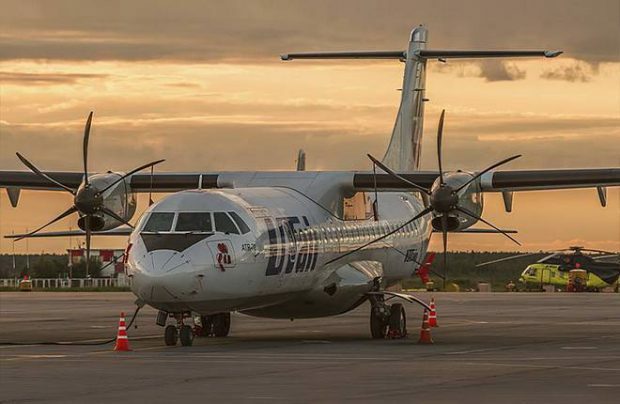 Utair has been wrestling with financial constraints since 2015 when, in a debt-restructuring effort, it signed two agreements with a syndicate of Russian banks – one for 18.9 billion roubles (US$291 million) for seven years and the other for 24.1 billion roubles (US$371 million) for a 12-year term. Utair has recently presented a new financial model to its creditors. Restructuring of its debts might take up to six months, experts say.